Lately I haven’t been motivated at all to sew. I started a dress for Hannah a week or so ago and then just put it away. But that all changed when Hannah pulled a Christmas book off the shelf and started looking through it. I realized that even though Christmas is quite a ways off, it would be fun to start some Christmas projects that I’ve been wanting to make since last year. 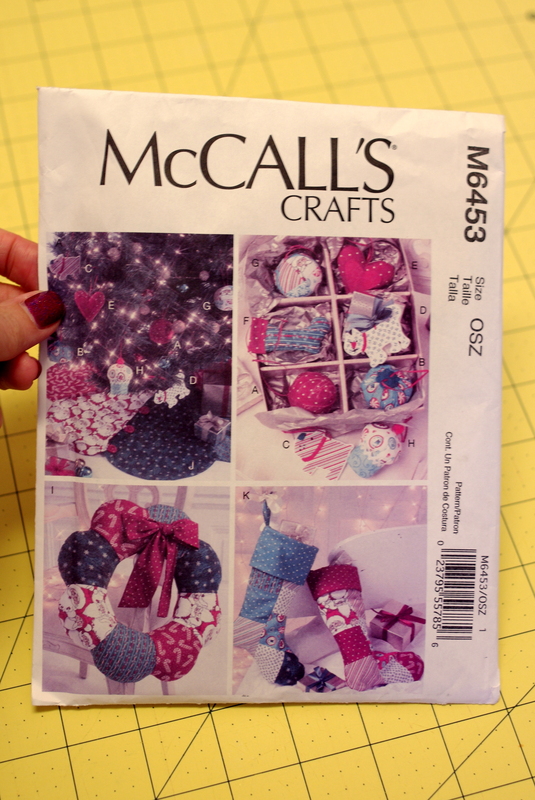 Last Christmas, I bought the McCall’s M6453 pattern during one of those $1 pattern sales at Joann’s. 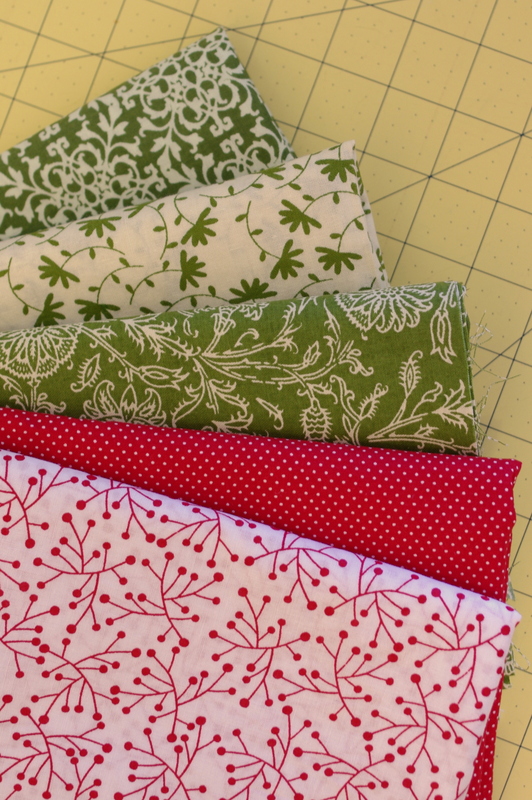 The two projects I was most interested in making were the tree skirt and stuffed wreath. So far I have my wreath mostly done, but sadly, I ran out of fiberfill so I have to make another trip to the fabric store before I finish it up and share it with you all. Yesterday, I cut out the pieces for my tree skirt, and today during Hannah’s morning nap, I made quite a bit of progress on piecing it together. Maybe I’ll be able to finish it up tonight or tomorrow! I’m also searching around the mommy blogs looking for more Christmas inspiration and fun tutorials. A few things that I’m thinking about adding to my Christmas list: stockings, an advent calendar, and maybe a quilt or table runner.